As I wander through the woods, a mysterious shadow passes over me. Something bad is here, I think, stopping to stare at the bark of a Scots Pine. There is evil in this tree. The conversation continues from tree to tree as I walk on. I can’t be sure the words are not merely imagined, but I am willing to hear them out all the same. You mean what’s good for me could be bad for you, right? The thing we are together? Is that is why I can hear you in my head? I begin to wonder what will come of me being in conversation with the trees, out here on my own. I feel as though I am fading; as though I am becoming a tree. It is probably time to leave. And I suppose, when we die, we all become one with it? I become aware that I am trembling and my head is spinning, but I make efforts to appear outwardly calm. Who for? Thank you for your wisdom, brothers. I have to get out of here now. 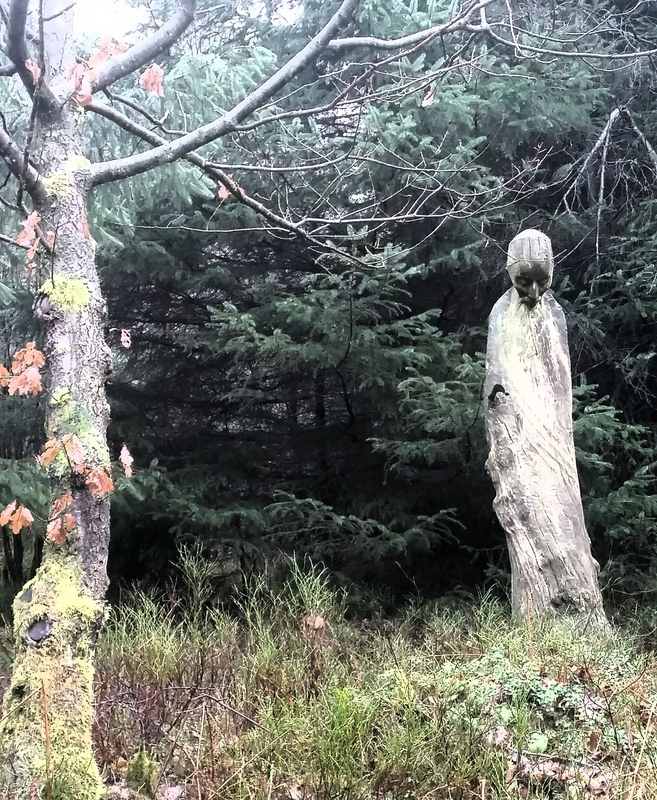 I leave the woods immediately to scribble down these bizarre interactions, and to contemplate whether the trees have really spoken or whether I experienced spontaneous hallucination. Perhaps, for all intents and purposes, there really is no distinction. My collection of short, quirky stories to make you contemplate is out now in paperback and ebook. Visit my books page for the full blurb and list of stockists. A good explanation of this illusion we call life. …so beautiful I read it twice. Your piece reminds me of how incredible the imagination can be. And I love the final two sentences.